This unusual round mirror is designed by Constance Guisset, which original and innovative approach to the design process has won her international favors. 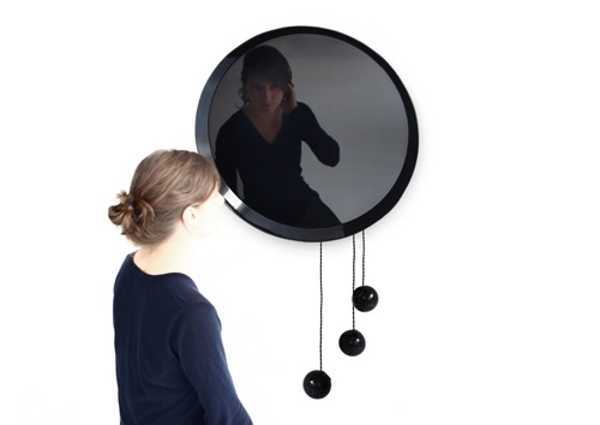 The wall mirror is one of interesting workd by the designer and scenographer. The wall mirror from Constance Guisset, www.constanceguisset.com/ is in round shape and with glass bubbles. The decorative mirror is a blend of function and whimsical design, which is torally unexpected and interesting. The French designer created a one-of-a-kind wall mirror that surprises and delights with original design ideas. The wall mirror Coulisse reflects and make to think. 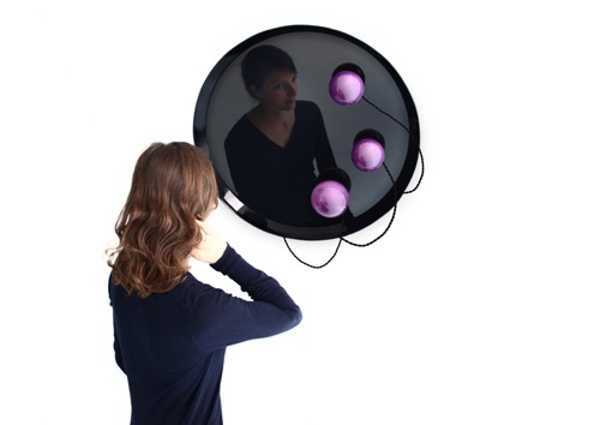 The round wall mirror is adorned with changing color little spheres. 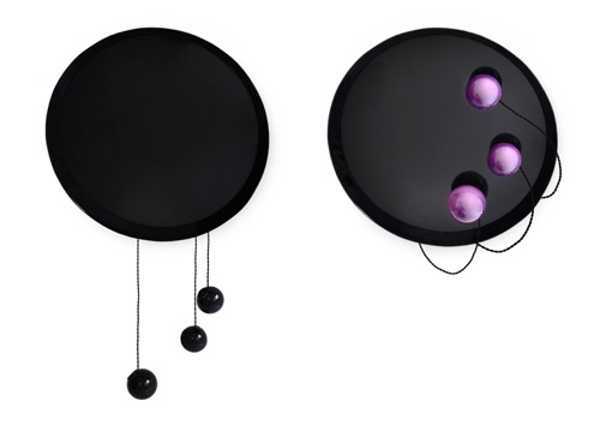 The spheres can hang loose or be stuck to the mirror with invisible magnets, adding a unique touch to round wall mirror design. 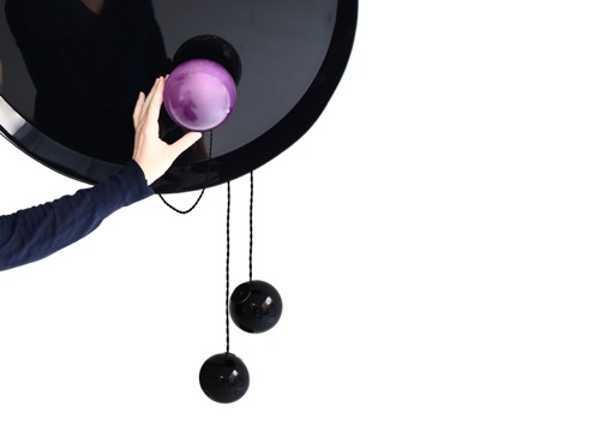 As soon as the user approaches each small sphere, hanging from the wall mirror, it lights up and reveals a mysteriously attractive purple color. Light reveals a translucid purple glass. The bubbles reflect on an immaterial ground and create an imaginary landscape between the mirror and constellation. When a bubble is brought close to the mirror, it is attracted by the magnet and switches on. When black, the glass bubbles are like jewels that flow from the shimmering surface. Surprise comes with the switch on by magnets and the sudden colored transparency of the material.